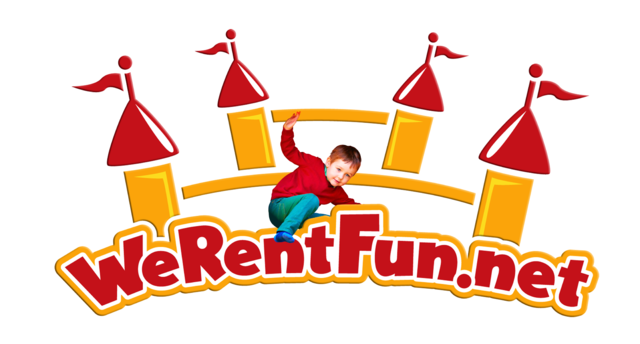 WeRentFun.Net has the perfect solution for exciting attractions for a hot Florida day. 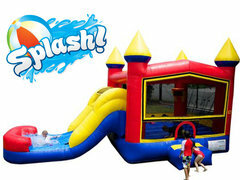 Our Water Slide rentals will quickly become the centerpiece attraction at your next event. Make sure to check the size of your available space because these guys are big! Browse the selections below and click on the title or image for more information and to make a reservation. 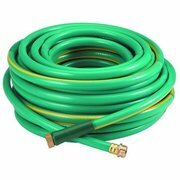 Are you ready throw a water party for a hot summer day? 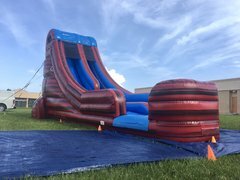 We Rent Fun knows how to cool down your party guests and turn up the fun with our Water Slide Rentals. When the Florida sun heats up, its time to add a little water to the party. You can bet that when your guests pull up to your party and see one of our awesome water slides, they won't be able to kick their shoes off fast enough. Your backyard will be instantly transformed into a tropical oasis just waiting for the fun to start. 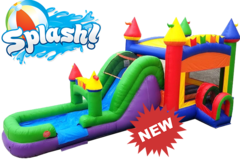 Want to see more options for water inflatables? 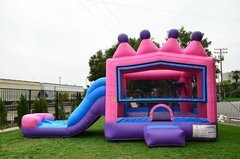 Check out our Combo Bouncer Rentals! 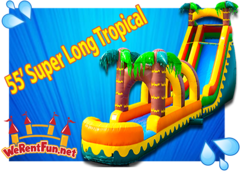 Thank you for considering We Rent Fun for your water slide rentals. We are a Christian family owned and operated Party Rental Company that wants to go above and beyond our customer's expectations. Our professional staff understand the importance of your event and hold themselves to the high standards we set in place for our growing business. We want to be the one stop shop for all your party and event rentals. We thank all active military, police, fire and first responders with great discounts. Please mention this to us when you are making a reservation. Contact us today!